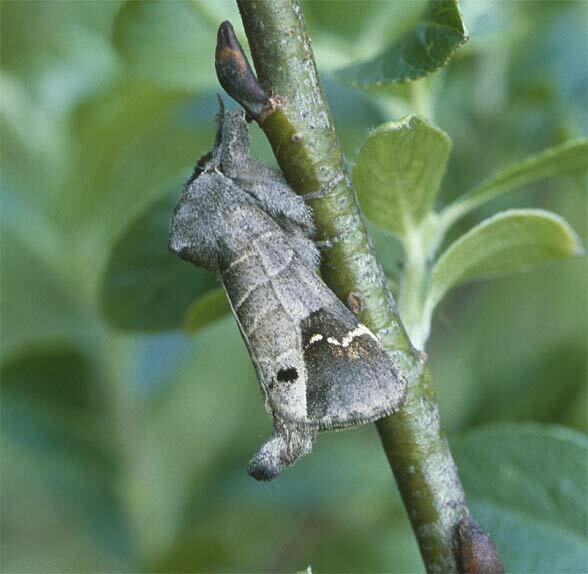 The larva feeds on Salix species and also Populus. Clostera anachoreta inhabits riparian forests of the lowlands, partly wetland woodlands and other warmer and more moist forests. Clostera anachoreta appears in two generations from April to early June and in July/August. The caterpillar lives until September and the pupa overwinters. Clostera anachoreta occurs significantly less frequent than Clostera curtula and C. pigra, has higher habitat requirements and is at risk because of the decline of suitable habitats. Clostera anachoreta occurs from Northern Spain, southeast England and Southern Scandinavia to Japan.